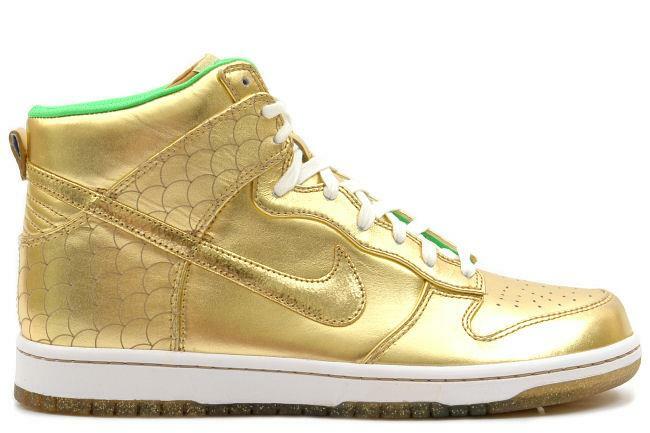 Info: The first release from Nike's Japan Dunk Pack. 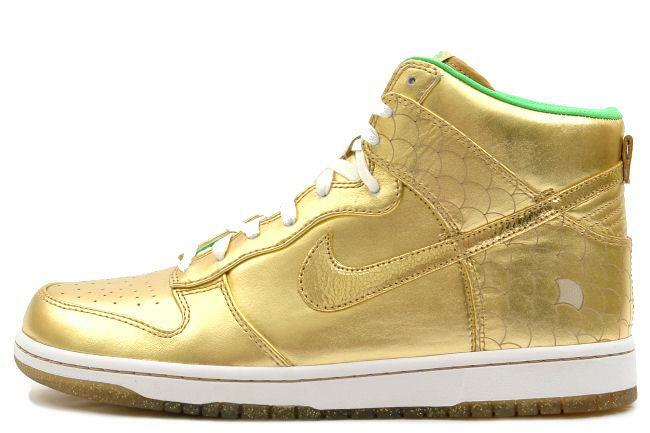 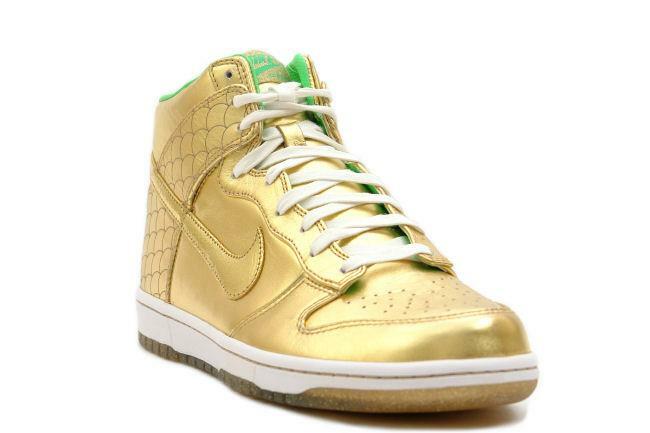 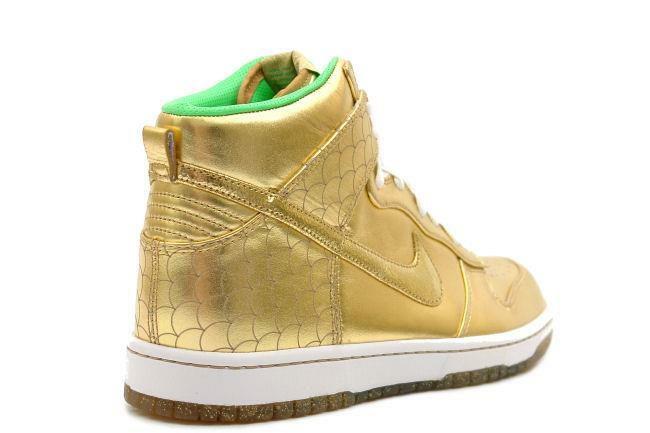 This shoe is completely covered in gold patent leather with mint green accents, referring to its famous Gold Dolphin. 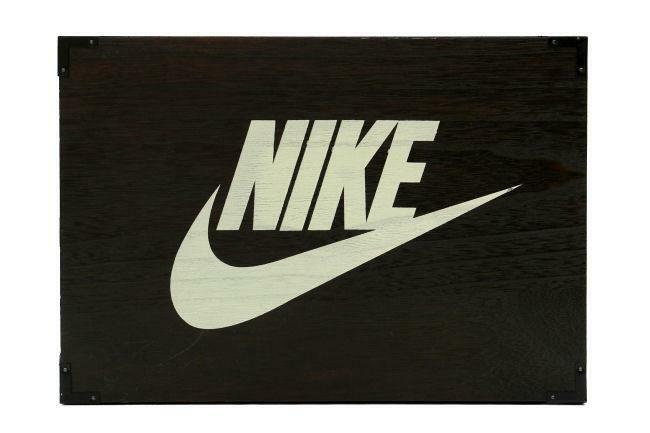 In addition to the normal Nike shoe box, these come with a special black Wooden Nike Box. 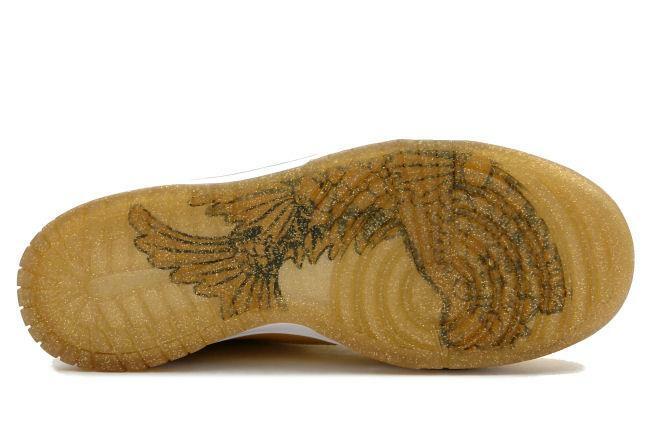 There were less than 400 pairs made and they come with an extra pair of laces. 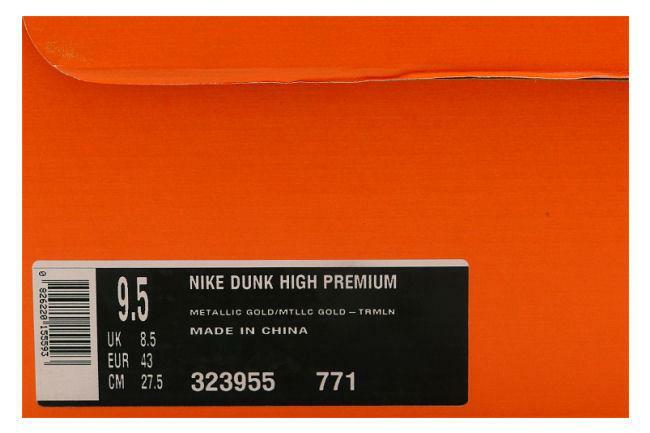 May 2008 Tier 0 Japan release.